Peter Geoffrey Brock AM (26 February 1945 – 8 September 2006), otherwise known as "Peter Perfect",  "The King of the Mountain", or simply "Brocky", was one of Australia's best-known and most successful motor racing drivers. Brock was most often associated with Holden for almost 40 years, although he raced vehicles of other manufacturers including BMW, Ford, Volvo, Porsche and Peugeot. He won the Bathurst 1000 endurance race nine times, the Sandown 500 touring car race nine times, the Australian Touring Car Championship three times, the Bathurst 24 Hour once and was inducted into the V8 Supercars Hall of Fame in 2001. Brock's business activities included the Holden Dealer Team (HDT) that produced Brock's racing machines as well as a number of modified high-performance road versions of his racing cars. BMW AG is a German multinational company which currently produces automobiles and motorcycles, and also produced aircraft engines until 1945. Volvo Cars, stylized as VOLVO, is a Swedish luxury vehicles company. It is headquartered on Torslanda in Gothenburg and is a subsidiary of the Chinese automotive company Geely. The company manufactures and markets sport utility vehicles, station wagons, sedans and compact executive sedans. The Volvo Group was founded in 1927 as a subsidiary of the ball bearing manufacturer SKF. When AB Volvo was introduced on the Stockholm stock exchange in 1935, SKF sold most of the shares in the company. Richmond is an inner suburb of Melbourne, Victoria, Australia, 3 km south-east of Melbourne's Central Business District in the local government area of the City of Yarra municipality. The 2011 Census listed Richmond's population as 26,121. Hurstbridge is a town in Victoria, Australia, 30 km north-east of Melbourne's Central Business District. Its local government area is the Shire of Nillumbik. At the 2016 Census, Hurstbridge had a population of 3,450. Eltham High School is a secondary school in Victoria, Australia. It is located in Eltham, a suburb which is north-east from Melbourne. It is mainly known for the creativity of its students, in areas such as art, drama, and music. It is also acclaimed for its successful volleyball program. The school is known for being one of 'free dress' and is the only non-uniform secondary school in the Eltham area. With the exception of a sports uniform, students at the school are permitted to dress as they please in order to express their individuality. 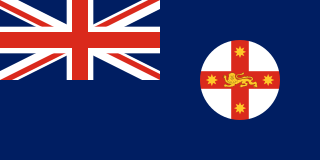 Wagga Wagga is a major regional city in the Riverina region of New South Wales, Australia. Straddling the Murrumbidgee River, with an urban population of more than 54,000 as at the 2016 census, Wagga Wagga is the state's largest inland city, and is an important agricultural, military, and transport hub of Australia. 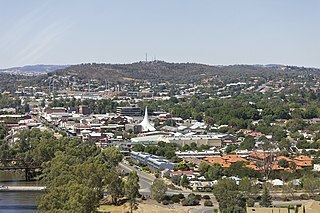 The ninth fastest growing inland city in Australia, Wagga Wagga is located midway between the two largest cities in Australia–Sydney and Melbourne–and is the major regional centre for the Riverina and South West Slopes regions. The Austin A30 is a small family car produced by Austin from May 1952 to September 1956. It was launched at the 1951 Earls Court Motor Show as the "New Austin Seven" and was Austin's competitor with the Morris Minor. The 1969 Hardie-Ferodo 500 was the tenth running of the Bathurst 500 production car race. It was held on 5 October 1969 at the Mount Panorama Circuit just outside Bathurst in New South Wales, Australia. Cars competed in five classes based on purchase price of the vehicle. Colin John Bond is a retired Australian racing driver. Bond reached the highest levels in Australian motorsport in 1969 when he was recruited by Harry Firth to the newly formed Holden Dealer Team. He quickly found success, winning the 1969 Hardie-Ferodo 500 mile race at Bathurst, New South Wales in a Holden Monaro. Antony Martin Roberts,, was an Australian race and rally driver. While at the 1983 Australian Grand Prix meeting at Calder Park, sports car racer and 1976 Hardie-Ferodo 1000 winner John Fitzpatrick challenged Brock, that having won everything there was to win in Australia he should try his hand overseas with the 'big boys', meaning Le Mans. After millionaire businessman and racer Bob Jane got involved with sponsorship through his Bob Jane T-Marts, a deal was completed to race a Porsche 956B rented from John Fitzpatrick Racing in 1984. With regular HDT co-driver Larry Perkins, Brock finished 21st at the 1000 km of Silverstone after spending time in the pits fixing a broken rear suspension. The pair then drove in the 24 Hours of Le Mans. Perkins qualified the car 15th with a time of 3:35.340 which was 18.29 seconds slower than the pole winning works Lancia LC2 of Bob Wollek (Brock was 2 seconds slower than Perkins, though his times were set on race tyres while Perkins was given a set of qualifiers). After a good start by Perkins in the hot conditions, Team Australia were running as high as 5th at one stage of the race before retiring after Perkins crashed in the Esses on lap 145 while trying to make up for lost time, which included a lost wheel while Brock was in the car, and a broken rear bolt which caused Perkins to almost spin the Porsche at close to 350 km/h (217 mph) while racing flat out through the kink on the famous Mulsanne Straight. The Team Australia assault on the race, and the fortunes of the other Aussies including 1983 winner Vern Schuppan, 1980 Formula One World Champion Alan Jones and Allan Grice, was covered extensively in the Peter Mckay/Barry Naismith book "LeMans The Australian Assault". After his return from Le Mans, Brock began to consult Melbourne-based health practitioner Eric Dowker. He gave up alcohol and cigarettes and became a vegetarian,  5 years after that he became a vegan. Previously, his diet had included long held Brock family staples such as Vegemite mixed into mashed potatoes. On 8 September 2006, while driving in the Targa West '06 rally, Brock was 3 kilometres from the finish of the second stage of the race at Gidgegannup, about 40 km from Perth, Western Australia  when he skidded off a downhill left-hand bend on Clenton Road for over 50 metres in his 2001 Daytona Sportscar  and hit a tree. The 61-year-old Brock was killed instantly. His co-driver, Mick Hone, was taken to hospital in a serious but stable condition. Video footage of the crash (provided by a fan and the in-car camera) was reviewed by Western Australian police to help determine the cause of the accident. Coroner Alastair Hope decided that his death was caused by high speed and that no coronial inquest would be performed. Due to the high regard in which Brock was held by the Australian community at large, the video has never been released to the public. The editor of Wheels Magazine , Ged Bulmer, said that Brock would be remembered for his nine victories at Bathurst, for "He had a long and very successful career there, he was the 'King of the Mountain' as he came to be known." The Bathurst 1000 is a 1,000-kilometre (620 mi) touring car race held annually on the Mount Panorama Circuit in Bathurst, New South Wales, Australia. It is currently run as a championship event for Supercars. Greg Murphy is a New Zealand professional racing driver, best known as a four-time winner of the Bathurst 1000. Greg Murphy joined Jeremy Clarkson and James May presenting Top Gear Live, when it had its first international Live show at ASB Showgrounds in Auckland from 12–15 February 2009, and again when the show returned in 2010. The Holden Dealer Team (HDT) was Holden's semi-official racing team from 1969 until 1986, primarily contesting Australian Touring Car events but also rallying, rallycross and sports sedans during the 1970s. 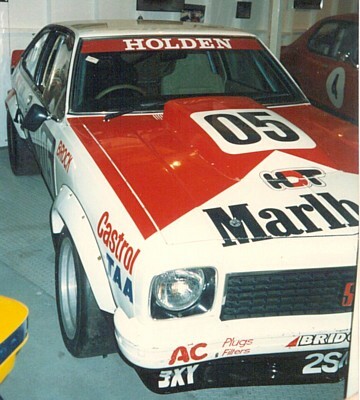 From 1980 the Holden Dealer Team, by then under the ownership of Peter Brock, diversified into producing modified road-going Commodores and other Holden cars for selected dealers via HDT Special Vehicles. Allan George MoffatOBE is an Australian racing driver known for his four wins in the Australian Touring Car Championship, six wins in the Sandown 500 and his four wins in the Bathurst 500/1000. Moffat was inducted into the V8 Supercars Hall of Fame in 1999. Perkins Engineering was a team contesting the Australian V8 Supercar Championship Series, operating as an active racing team between 1986 and 2008. From 2009 onwards, the involvement of Perkins Engineering in the championship was wound back into a supply relationship with the newly formed Kelly Racing. The Holden Commodore (VH) is a mid-size car that was produced by the Australian manufacturer Holden from 1981 to 1984. It was the third iteration of the first generation of the Holden Commodore. The Holden Commodore (VL) is a mid-size car that was produced by the Australian manufacturer Holden from 1986 to 1988. It was the final iteration of the first generation of the Holden Commodore and included the luxury variant, Holden Calais (VL). Between February 1986 and August 1988, 151,801 VL model Commodores were built. Allan Maxwell Grice, known to motor-racing fans as "Gricey", is an Australian former racing driver and politician, most famous for twice winning the prestigious Bathurst 1000, and as a privateer driver of a Holden in the Australian Touring Car Championship. The 1983 James Hardie 1000 was a motor race for Group C Touring Cars contested at the Mount Panorama Circuit, Bathurst, New South Wales, Australia on 2 October 1983. It was the 24th "Bathurst 1000" and the third to carry the James Hardie 1000 name. The race, which was Round 4 of the 1983 Australian Endurance Championship, was contested over 163 laps of the 6.172 km circuit, a total distance of 1006.036 km. Robert Morris is an Australian former racing driver. Morris was one of the leading touring car drivers during the 1970s and continued racing until 1984. Morris won Australia's premier Touring car race, the Bathurst 1000 in 1976. He also won the Australian Touring Car Championship in 1979. Morris was inducted into the V8 Supercars Hall of Fame in 2004. The 1986 James Hardie 1000 was an endurance motor race held on 5 October 1986 at the Mount Panorama Circuit, just outside Bathurst in New South Wales, Australia. The race, which was the 27th running of the Bathurst 1000 touring car race, was the fourth round of both the 1986 Australian Endurance Championship and the 1986 Australian Manufacturers' Championship. The 1984 James Hardie 1000 was the 25th running of the Bathurst 1000 touring car race. It was held on 30 September 1984 at the Mount Panorama Circuit just outside Bathurst in New South Wales, Australia and was Round 4 of the 1984 Australian Endurance Championship. This race was celebrated as 'The Last of the Big Bangers', in reference to the Group C touring cars, which were competing at Bathurst for the last time. The Ford Works Team (Australia) was a former Australian motor racing team that was supported by the Ford Motor Company of Australia. The team was formed in 1962 and was wound up when Ford withdrew from motor racing at the end of 1973. Drivers for the works team included Allan Moffat, Fred Gibson, Harry Firth, Bob Jane, Barry Seton, Bruce McPhee, John French, Ian Geoghegan and his brother Leo. The 1980 Hardie-Ferodo 1000 was the 21st running of the Bathurst 1000 touring car race. It was held on 5 October 1980 at the Mount Panorama Circuit just outside Bathurst in New South Wales, Australia. The race was open to cars eligible under the locally developed CAMS Group C Touring Car regulations with four engine capacity based classes. The 1979 Hardie-Ferodo 1000 was the 20th running of the Bathurst 1000 touring car race. It was held on 30 September 1979, at the Mount Panorama Circuit just outside Bathurst. The race was open to cars eligible to the locally developed CAMS Group C touring car regulations with four engine capacity based classes. John Francis Harvey is a retired Australian racing driver. He was a top Speedcar driver for many years in the 1950s and 1960s, winning many championship races including the NSW Championship for three successive years and the Victorian Championship twice before turning his skills to road racing where he had a long and successful career until his retirement at the end of 1988. David John "Skippy" Parsons, is a retired Australian racing driver, who while never a full-time racing driver, drove for the biggest racing teams in Australia including the Holden Dealer Team, Perkins Engineering, Glenn Seton Racing and Gibson Motorsport. Nathan Pretty (born 7 July 1973 in Albury, New South Wales is an Australian racecar driver. 1 2 3 4 5 Ray Kershler & Rupert Guinness (15 October 2005). "Wives in the fast lane". The Daily Telegraph . News Ltd. p. 31. ↑ Rose Powell (20 February 2015). "Peter Brock's partner Beverley Brock blasts upcoming Channel 10 miniseries". Sydney Morning Herald . Retrieved 30 September 2016. ↑ Doherty, Ben (30 August 2010). "BROCK: Peter Perfect: life of speed, good deeds". drive.com.au. Retrieved 31 May 2017. ↑ "STATEMENT - Peter Brock". GM Media. 8 September 2006. Archived from the original on 11 October 2007. Retrieved 8 August 2013. ↑ "Births". The Argus . Melbourne. 7 March 1945. p. 2 – via Historic Australian Newspapers, National Library of Australia. 1 2 "Peter Brock". Talking Heads. transcript. 11 September 2006. Australian Broadcasting Corporation. Well, I grew up with three brothers in a town called Hurstbridge, outer suburban area from Melbourne. Lived here all of my life. ↑ "Principals Report: 18 May 2004". Eltham High School. 18 May 2004. Retrieved 8 August 2013. 1 2 "That "evil natured" machine, the A30". Peter Perfect - The Race Days. Peter Brock - The Ultimate Resource. 13 March 2000. Archived from the original on 21 August 2006. Retrieved 19 September 2006. ↑ Ray Kershler (9 September 2006). "Nine Wins Made Brock the Bradman of Bathurst and a household name". The Saturday Daily Telegraph . News Ltd. p. 46. ↑ Scott, Phil (September 1984). "Brock at Le Mans". Wheels Magazine. Australian Consolidated Press. ↑ David Robertson (19 February 1987). "Holden, Brock fall out over energy box". Sydney Morning Herald . p. 3. 1 2 Phil Scott (1 March 1987). "Brock shaping up for a fightback". The Sun-Herald . p. 71. ↑ Steve Colquhoun. "Polariser, HDT drawn together again". Brisbanetimes.drive.com.au. Retrieved 8 August 2013. 1 2 "Interview transcript". Enough Rope with Andrew Denton. 18 July 2005. ↑ Bolton, Andrew. "I'd rather a Lada!". Archived from the original (Review excerpts from Australian motoring magazines) on 20 May 2003. Retrieved 15 September 2006. ↑ Walsh, Terry. "EA-series Ford Falcons, Fairmont Ghias, Fairlanes and Mavericks". Archived from the original on 1 September 2006. Retrieved 20 November 2006. ↑ "Peter Brock - The Legend (220439)". EzyDVD. 22 April 2013. Archived from the original on 14 September 2007. Retrieved 8 August 2013. ↑ "Peter Brock - The Legend: 35 Years On The Mountain - Collector's Edition (2 Disc Set)". Ezydvd.com.au. Archived from the original on 12 June 2012. Retrieved 8 August 2013. ↑ Staff author (21 July 2006). "Pete in a panorama". Herald Sun - Carsguide. News Ltd. pp. G19. ↑ Craig Bellamy; Gordon Chisholm; Hilary Eriksen (17 February 2006). "Moomba: A festival for the people. :" (PDF). City of Melbourne. pp. 17–22. Archived from the original (PDF) on 25 August 2006. ↑ "Peter Brock has no place in Hall of Fame" . Retrieved 3 October 2016. ↑ "Miss Australia Divorce". The Daily Mirror . 4 August 1975. ↑ "Brock beat me and forced abortion, says ex-wife". The Age. 18 November 2016. Retrieved 15 May 2013. ↑ Brock, Bev (2004). Peter Brock: Living with a Legend. Sydney: Macmillan Australia. 1 2 Stanford, James (30 October 2004). "Brocky marriage". Herald Sun . News Ltd. p. W29. ↑ Tuohy, Wendy (6 October 2012). "Ex-partner Bev Brock reveals Australia's motor racing pin-up w". news.com.au. Retrieved 15 May 2013. ↑ Mike Edmonds, Luke Dennehy & Chloe Adams (3 May 2005). "Brock to drive solo". Herald Sun . News Ltd. p. 20. ↑ Bodey, Michael; Buckley-Carr, Alana (12 September 2006). "Brock's affair shattered my family: mate". The Australian . News Limited . Retrieved 16 September 2006. ↑ Rebehah Devlin, Andrew Capel & Doug Robertson (10 October 2005). "Brock's new model". The Advertiser . News Ltd. p. 44. 1 2 Power, Emily (17 March 2006). "Brock feud erupts: Jilted man comes out swinging". Herald Sun . News Ltd. p. 17. ↑ Haberfield, Ian (2 July 2006). "Brock 'had it coming': Jilted husband has no regrets". Sunday Herald Sun . News Ltd. p. 4. ↑ Fogarty, Mark (10 September 2006). "Brock at ease with public role". Melbourne: The Age . Retrieved 15 September 2006. ↑ "P. Brock". animalliberationfront.com. Retrieved 2018-04-02. ↑ "Australian Motor Racing Legend Dies in Targa West". Confederation of Australian Motorsport. 8 September 2006. Archived from the original on 17 March 2007. Retrieved 8 August 2013. ↑ "Racing legend Brock killed in car crash". ABC News. 8 September 2006. Archived from the original on 24 October 2006. Retrieved 8 August 2013. ↑ "Peter Brock killed in crash". The Sydney Morning Herald. 8 September 2006. ↑ Taylor, Paige (20 March 2008). "No inquest into Brock race death". News.com.au. ↑ "State funeral for Brock". Sydney Morning Herald. 9 September 2006. Retrieved 8 August 2013. ↑ "'Remarkable' Brock's hard road". The Sydney Morning Herald. 19 September 2006. ↑ "Brock's body returns to Melbourne". The Sydney Morning Herald. 12 September 2006. ↑ "Mystery over 'new' Brock will". The Daily Telegraph. 16 September 2006. ↑ "Family tussle over Brock's three wills". The Sydney Morning Herald. 26 September 2007. ↑ "The Peter Brock case: yes I have a will – or do I?" (PDF). Hunt&Hunt. 15 August 2008. Archived from the original (PDF) on 21 March 2012. Retrieved 8 August 2013. ↑ "Julie Bamford and Bev Brock near settling Peter's estate". The Daily Telegraph (Sydney). 29 June 2009. Retrieved 8 August 2013. ↑ "Racing legend brocks statue unveiled". Website. Sydney Morning Herald. 9 October 2008. Archived from the original on 15 September 2012. Retrieved 19 April 2011. ↑ Campion, Vikki (9 August 2010). "The race to live at No.5 Peter Brock Drive". The Daily Telegraph. Retrieved 12 September 2018. ↑ "Reen Road / Peter Brock Drive". The Prospect Heritage Trust Inc. Retrieved 12 September 2018. ↑ "Airdate: Brock". TV Tonight. 27 September 2016. Retrieved 27 September 2016. ↑ Fogarty, Mark (17 November 2016). "Comment: The Brock Film's Biggest Untruths". Motor Magazine. Archived from the original on 18 November 2016. Retrieved 12 September 2018. ↑ "It's an Honour - Honours - Search Australian Honours". Itsanhonour.gov.au. 9 June 1980. Retrieved 8 August 2013. ↑ "History of the Bent Spoon Award | Australian Skeptics Inc". Skeptics.com.au. Retrieved 8 August 2013. ↑ "It's an Honour - Honours - Search Australian Honours". Itsanhonour.gov.au. 24 October 2000. Retrieved 8 August 2013. ↑ "It's an Honour - Honours - Search Australian Honours". Itsanhonour.gov.au. 1 January 2001. Retrieved 8 August 2013. ↑ "The History of National Service". Nashoaustralia.org.au. Archived from the original on 30 July 2013. Retrieved 8 August 2013. ↑ "Sports Card World: Tribute to Peter Brock 1". Users.chariot.net.au. Retrieved 8 August 2013. ↑ Karen Felton and MrHDT. "Peter Brock - Brock05 The Ultimate Resource - That "evil natured" machine, the A30". Brock05.com. Archived from the original on 21 October 2013. Retrieved 8 August 2013. ↑ "2016 Spirit of Competition Award honoring Peter Brock – November 16". www.simeonemuseum.org. Retrieved 2018-10-17. Wikimedia Commons has media related to Peter Brock .